Five days ago Daisy and I, staying busy doing our post-bar exam babymoon staycation, went on a whale watching trip on the Viking Star, a vessel based in Montauk Harbor at the eastern extremity of Long Island. The trip, one of three weekly trips organized by CRESLI (Coastal Research and Education Society of Long Island), was scheduled to depart at 9:30 AM and return at 3:30 PM and explore the waters east and south in the six hours in between. Recent reports from other birders who had joined the CRESLI trips indicated that many shearwaters and storm-petrels were being sighted, but of course when I convinced Daisy the trip would be a fun time I emphasized the whales and dolphins and didn’t mention birds at all (but I think she might have known). Whether she knew or not hardly mattered by the time we were on the deck of the Viking Star with forty other hardy whale watchers and steaming out of Montauk Harbor. The sun was shining, Common Terns were calling, and, oh my, a kid is already puking over the rail. It would be a loooong six hours for him and for several others who got seasick, a fate Daisy and I miraculously managed to avoid (considering her six-months pregnant state and my notoriously sea-hating stomach) on the relatively smooth seas. For the first portion of our pelagic trip (because now that we were out at sea and there was no turning back I could call it that instead of the euphemistic “whale-watching”) there wasn’t much to look at other than the Montauk Lighthouse receding from view. It wasn’t long, however, before Cory’s Shearwaters, Greater Shearwaters, and Wilson’s Storm-Petrels started appearing in ones and twos, most rather far off, but some coming closer to the boat. Having never really gotten great looks at any of the three species I was a bit anxious that I might not get looks like I wanted, but my anxiety was unwarranted: we would see hundreds of each species and many of them would be quite close to the boat. In fact, the three shots of tiny Wilson’s Storm-Petrels below serve nicely to illustrate some of the basic field marks and behaviors birders should look out for with this species. A more disturbing sight than the birds were large, multi-colored conglomerations floating on the water. What were they? Balloons, released innocently by someone celebrating something, unwittingly murdering sealife. As I said in this post about my last pelagic, where we saw a Black-legged Kittiwake dragging a balloon: DON’T RELEASE BALLOONS! THEY KILL! I was glad that we stopped and fished the balloons out of the water. After the balloons we were still seeing the same three species of pelagic birds but in larger numbers and then things really started to pick up nicely. Marine creatures were breaking the surface and at first I thought I was seeing dolphins (mind you, I wasn’t getting the best looks) but then Dr. Kopelman, the President of CRESLI, who narrates the trip through the boat’s PA system, announced that what we were seeing were tuna coming up out of the water in pursuit of herring. We did eventually see some Common Dolphins, but, to be honest, we were more impressed by the tuna. 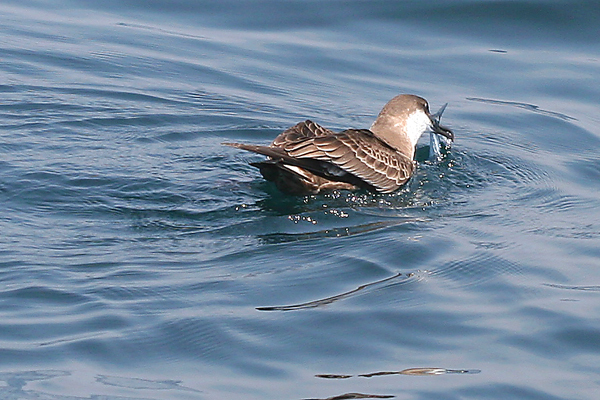 Sadly, those two shots above are the only two decent ones that have Cory’s Shearwaters in them. For some reason the Cory’s were not being photogenic while the Greater Shearwaters seemed eager to have their picture taken. And the other shearwater species I spotted, at rather long range and getting further away quickly, managed to avoid being identified. 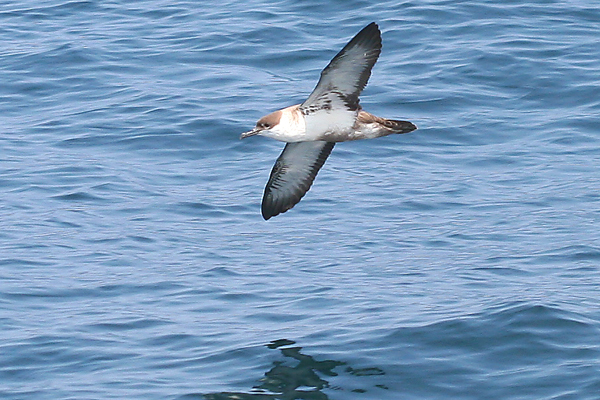 It was most likely a Manx Shearwater but having never seen one I was not comfortable ruling out Audubon’s Shearwater. 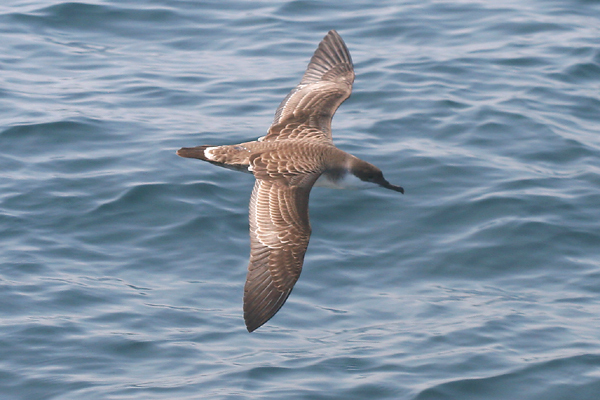 Though missing a lifer hurt a bit, the Greater Shearwaters did what they could to make up for it. While the birds were great we were not allowed to forget that the ostensible purpose of the trip was whale-watching, and, eventually, we saw a whale, a Fin Whale to be exact, though, for such a large creature, it was rather anticlimactic to see it. All in all it was a fun trip, and well worth the $49 each that it cost. Interested in going on a CRESLI trip yourself? Well, go ahead and make a reservation! Wow. I’d love to see tuna doing that. 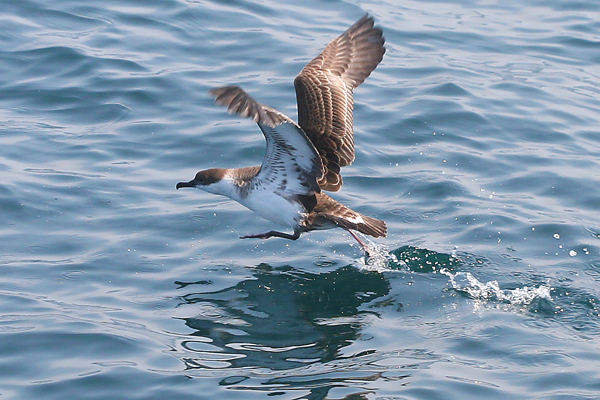 $50 is a good price to get out on the ocean, even if you don’t go as far out as on a bird-specific pelagic. Great tuna shots Corey – I love it when they do that! Great shots!! I had planed to do the pelagic bird trip but felt it was a little too long but this trip sounds perfect. How many miles do you go out? Just curious because weather can change in a moments time! Wow when you sent me the tuna picture to show your brother I didn’t realize it was a real picture. It is so spectacular that it looks artificial. @Nate: $50 is a seriously good deal…and CRESLI is doing some research so it is a win-win. @Lea: I’m not sure how far out we were but they don’t go out if the forecast is iffy. @Dad (Wes): Those tuna were the real deal…they were so real that Daisy said that they had her craving sushi! How come no-one is commenting on the shearwater pictures? And the tuna pics as well, okay. Too bad I will likely never get on a boat again (a very bad experience when I was young). I need all those species on my life list. I’m very jealous as usual! Will, have you inquired about the recent advances in medicine and (legal) drugs? Please contact me for the offshore whale watch schedule. Thank you! The 2010 Viking/CRESLI local (6 hour)whale and pelagic trips start July 1; we sail Wednesdays through Sundays ($59 per adult; $25 per child). Our offshore 51 hours trip to the Great South Channel will take place August 15-17, 2010 ($300 per adult; $150 per child ). Go to http://cresli.org for more iformation.